I had the pleasure of interviewing Mr. S. Isaac Daniel, scientist, entrepreneur, founder and Chief Executive Officer, the pioneer and visionary force behind the Elite Influential Club (EIC), Isaac Daniel Inventorship Group, Abanacle Corp (Government-Mission Project), MiNiT IP Holding LLC and MiNiT Financial Service LLC. 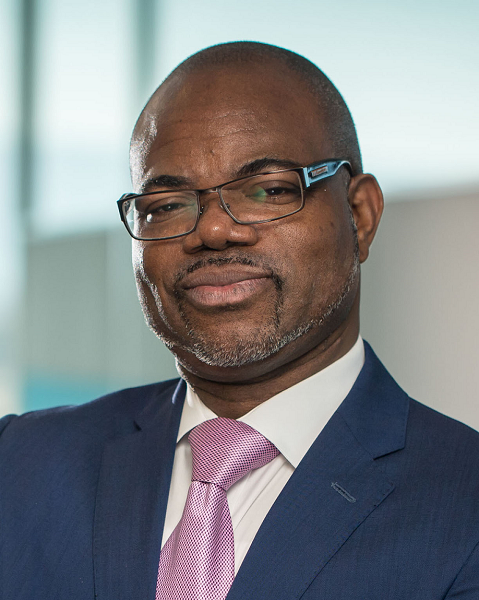 Former scientific analyst for the United Nations, inventor and designer of high-tech enterprise solutions, cyber-tech solutions and government-mission solutions, Isaac Daniel’s passion for technology and innovation has led to hundreds of patents and patents-pending in the United States. Isaac Daniel and his technology have been featured on numerous U.S. and international TV broadcasts and in print media, such as CNN-Anderson Cooper, Genius Book of Records and various historic fact books highlighting people that have contributed their ingenuity to the well-being of our lives; and as the original inventor of GPS embedded shoes, his extraordinary achievements earned him the South Florida Innovator’s Award in 2007. My parents and grand-parents brought me up to be strong yet humble. That has made me the person I am today. I come from a large family of five children but for the most part, I tend not to socialize much. I read, and I have learned a lot more than most people of my age. People don’t realize just how much I read. They see me as someone who has filed so many patents that they say, how can he possibly have time to read. But it’s not just about reading. It’s also about listening and how everything is assimilated in the brain. 2. Can you share the funniest or most interesting story that happened to you since you began leading your company? A few years ago, I was looking for space in Silicon Valley, California. The Real Estate person working with me found a fantastic space at what looked like an amazing price and so I was eager to seal the deal. To save money, I had my in-house lawyers, rather than a real estate lawyer, go over the lease contract. My lawyers told me it all looked good and so we leased the space. My in-house lawyers are corporate lawyers and patent lawyers and so they are not well versed with California real estate laws, and did not inform me that the lease was what is known as a Triple Net Lease which meant that I would not only be paying the lease on the property but also the all the real estate taxes, building insurance and maintenance on the property in addition to any normal fees — utilities and so on. With all that, the cost of the space amounted to three times what I was expecting to pay. Not using the right kind of lawyer was a big mistake that ended up costing me a great deal — no pun intended! We refuse to quit when others would have. I believe in contributing to society and I think of the future, the next generation, my children’s generation (which I call ‘AI’ Alpha Intelligence); and what will happen to them in the future. We have the technology that can help bring about positive changes. So, for instance, we are using our technology to combat fraud and cybercrime for a safer future. That’s what keeps us going. If you as a CEO are real, genuine and true, your employees will stand by you even through bad times. I have had employees that had stood by me when I had nothing. I was struggling to get by, without money to pay them, unable to get funding in Silicon Valley but my employees were supportive. Also, CEOs should give back to the employees, be willing to make them a part of the company. Do not focus only on yourself and what you want to achieve for yourself. Talk in terms of ‘we’, our company and what we want to achieve as a company. Being inclusive of your employees can go a long way in building support for you as the CEO. #1. Digital Banking. We will become a cashless society. I don’t know when last I went to the bank. I do all my banking online. But everything needs to be secure, my cards, my mobile phone. This leads to the need for my #2 trend. #2. Biometric technology to secure the Digital Bank will put this in the hands of the consumer. That is why mobile companies such as Apple and Samsung are thriving. People want to be in control. That means putting things in their own hands. A person’s biometric is unique to them and can prove they are who they say they are. So are their genetics. They’re theirs and no one else’s. It is virtually impossible to duplicate an individual. So, for this reason, biometric technology will help eradicate fraud in banking. #3 Crypto currency, rather than being disruptive to banking, will enhance the banking system. Brick and mortal banks will close. Already, bank-branches are practically empty. Hardly anyone needs to enter a bank anymore because it’s now all online. #4 Financial institutions will take technology to higher levels. As banks increasingly turn to digital banking, the big leaders, companies such IBM, GE, Cisco, Intel, Quantum, will increasingly support, enhance and protect their servers leading to better, more robust technology. #5 Insurance companies and banks will need to merge and become one. If necessary, it is therefore possible. To always be humble — I believe a little humility can go a very long way.